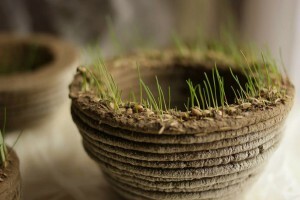 Although the use of printing paper may be seen as a necessary evil, a group of students from the University of Maribor in Slovenia have taken the revolutionary concept of 3D printing to an entirely new level that could be seen as leveling out the playing field when it comes to paper waste. 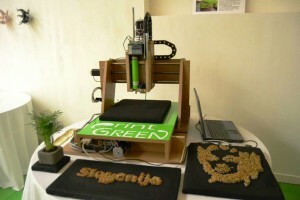 Their design, Project PrintGREEN is turning 3D printers into on-demand gardeners after designing a “green” 3D printer in 2013. The printer produces living prints, printing customized objects in a variety of sizes and forms. The project’s goal is to unite art, technology, and nature, creatively producing living designs with the help of technology. The “ink” in the machine is a combination of soil, seeds, and water, which can be designed to print in any shape or letter. After drying, the muddy mixture holds its form, and just like the bean sprout experiment many of us tried at school, buds will begin to appear. A play on the usual conservationist motto of “think before you print,” the students encourage people to print using the machine because it’s green.